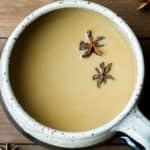 This recipe for Coconut Chai Tea Latte is a simple way to take a basic chai tea latte up a notch or two in flavor. Creamy coconut milk is blended into chai tea for a warm, comforting beverage that is lower in fat and sugar, but full of flavor! As I continue on my keto journey, I am constantly learning about new ways to make the foods that I love more keto-friendly. 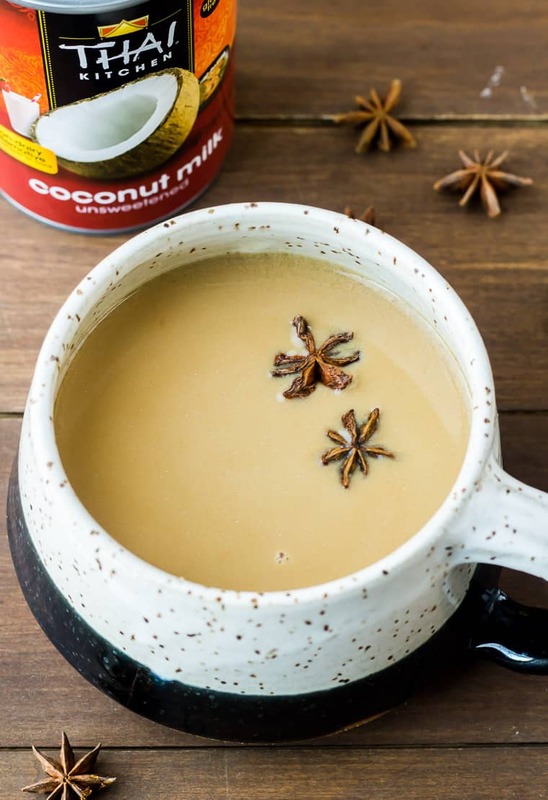 This simple recipe for a Coconut Chai Tea Latte is the perfect example of how one little substitution can make a big difference! I don’t eat many keto sweets, but I do love chai tea lattes and have 1-2 a day. Previously, I was making my chai tea lattes with 1-2 tablespoons of heavy whipping cream and a packet of stevia/erythritol blended sugar substitute. I’d often go over my ideal fat intake for the day. Needless to say, I was super excited to learn that by swapping out heavy whipping cream for unsweetened coconut milk, I could reduce my fat (and dairy) intake. It doesn’t hurt that coconut is one of my all time favorite flavors. These Coconut Chai Tea Lattes are delicious and just as creamy as if you used heavy whipping cream! It’s no secret that I am a big fan of Thai Kitchen Coconut Milk. Ever since my first bite of Creamy Coconut Rice, it’s all that I use and the only brand I ever recommend. Their fresh, authentic flavors and ingredients make it easy to add delicious Thai flavor to all kinds of dishes! 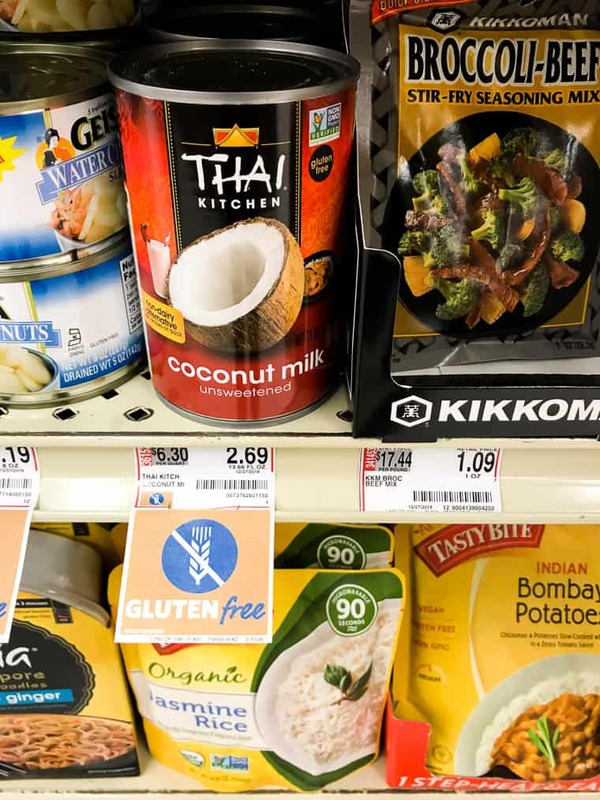 Besides being a great option for those following a low carb or keto diet, Thai Kitchen Coconut Milk is also gluten free, dairy free, paleo, and vegan. Ever wonder how coconut milk is made? Me too! I found it really interesting to know that Thai Kitchen makes it’s coconut milk by soaking the white insides of fresh coconuts in water. 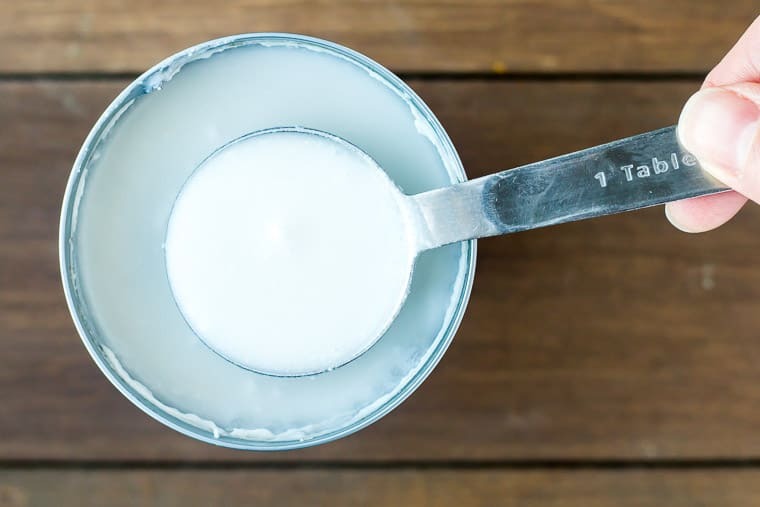 The solids are strained out, leaving behind just the “milk.” The only ingredients in Thai Kitchen Coconut Milk are coconut, water, and guar gum – a plant-based natural thickener for added creaminess. 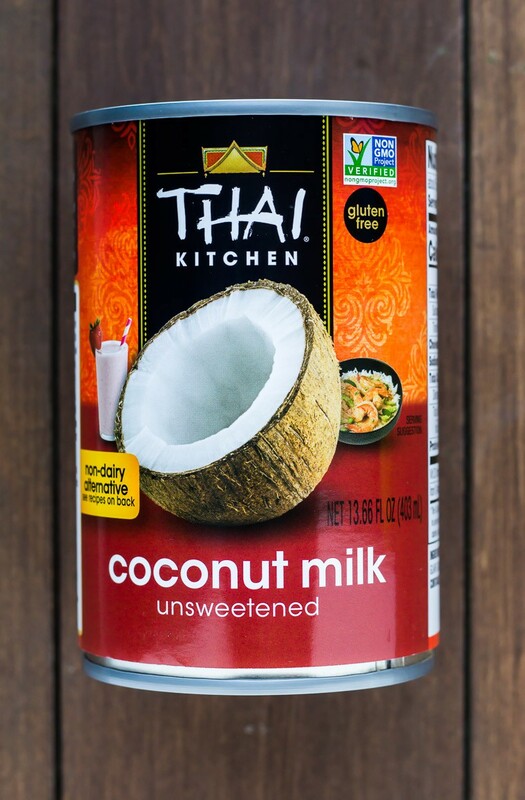 You can find Thai Kitchen Coconut Milk on Amazon.com or at your local grocery store. I picked up a few cans at Food Lion to make my daily Coconut Chai Tea Lattes! 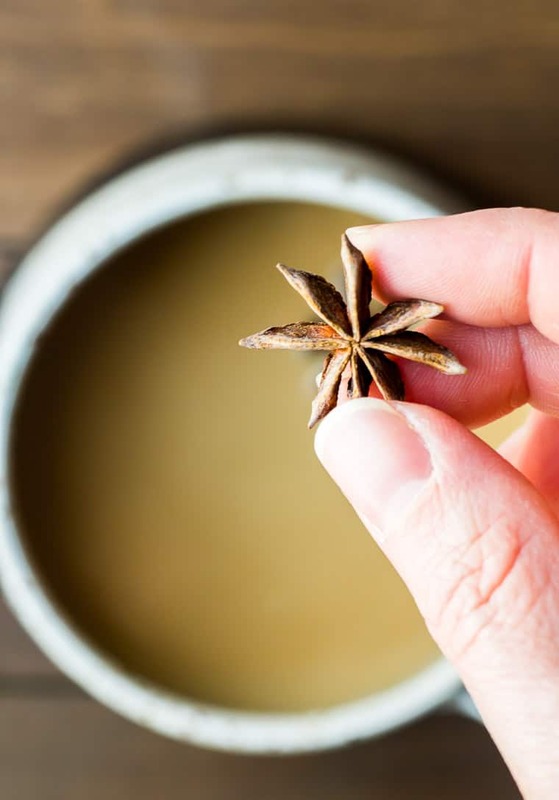 There isn’t any real prep to this simple chai recipe. Just be sure to give your can of Thai Kitchen Coconut Milk a good shaking before you open it. Add a chai tea bag to a mug with 6-8 ounces of hot water. Let it steep for about 4 minutes. Whisk in 2 tablespoons of Thai Kitchen Coconut Milk and one packet of a keto-approved sugar substitute. Top with a couple of pieces of star anise, if desired. Be sure to give your can of coconut milk a really good shake before opening it. You can also whisk it once opened if there is still some clumping. It is recommend to use a sweetener made with a blend stevia and erythritol. Store extra coconut milk in an air-tight container in the refrigerator and shake or whisk before using it again as coconut milk naturally separates and solidifies. What Are Some Other Ways to Use Coconut Milk? 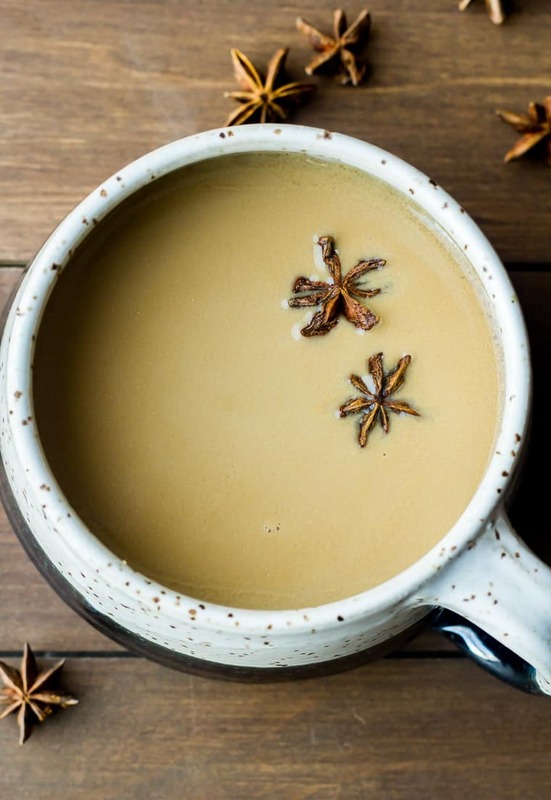 Love this Coconut Chai Tea Latte Recipe? Follow me on Pinterest, Instagram, and Facebook for more! 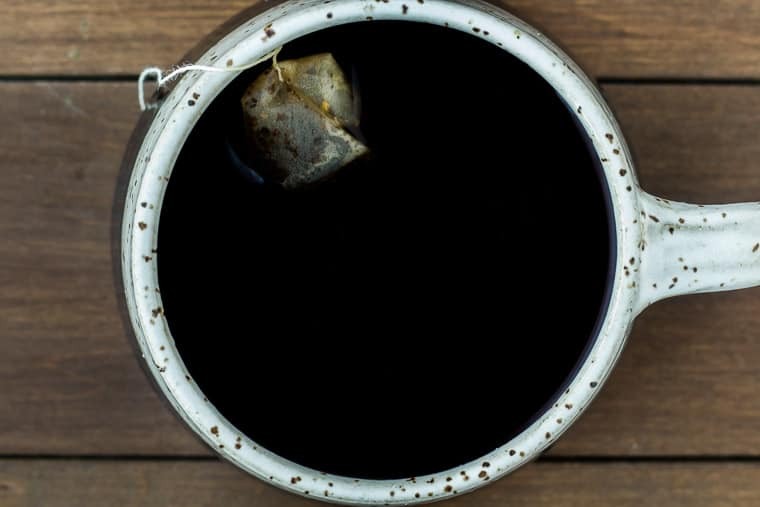 Add your tea bag to a mug and pour 6-8 ounces of hot water over it. Steep for 4 minutes. Remove the tea bag and whisk in the sugar substitute and Thai Kitchen Coconut Milk. Top with 2-3 pieces of star anise, if desired, and serve hot. We recommend using a sweetener made with a blend stevia and erythritol.